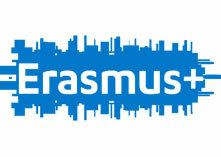 The idea of our project rises out of the analysis of the daily challenges European high schools have to face nowadays. From our teaching experiences, it is obvious that the most widespread issue among students aged 15-18 is apathy towards science the loss of enthusiasm about creating something new and deprivation of criticising : they can reach the knowledge directly through internet so they accept the truth without questioning,they have no dreams to fight for, no dynamic will to challenge their future. Judging by the science results of PISA 2015, it is seen that only 15 of the 22 European countries have managed to climb over the OECD average. STEM is a curriculum based on the idea of educating students in four specific disciplines —Science, Technology, Engineering and Mathematics— in an interdisciplinary and applied approach. Rather than teach the four disciplines as separate and discrete subjects, STEM integrates our students into a cohesive learning paradigm based on real-world applications. By exposing students to STEM and giving them opportunities to explore STEM-related concepts, they will develop a passion for it and hopefully pursue a job in a STEM field. Our world’s common issue is depriving energy owing to the high rates of population growth and industrialization progresses. In order to meet our demands we as human beings are destroying our natural habitat. The idea of our project “Science Teaching Energizes Modernisation” (STEM) rises out of the analysis of the daily challenges European countries have to face nowadays. Within Europe’s policy of reducing fossil fuel use, renewable energy sources accounted for 86 percent of the power sources participating in the European electricity network last year. In the EU countries, 86 per cent of the capacity of 24.5 GW, which was established in 2016, constituted renewable energy sources with 21.1 GW and exceeded 79 per cent of renewable energy in 2014. Wind energy has taken its place as the European Union’s second largest capacity factor. Considering the long term, only seven of the 28 EU member states have clear policies for wind energy after 2020. From our teaching experiences, it emerges that the most widespread deficiency among students aged 15 to 18 is the awareness about renewable energy sourses which will affect their future. Now that our students aged between 15 and 18 are the next generations of Europe, we wondered how much they knew about renewable energy sources, production and use of them. Therefore, we applied a short test to our students to test their level of environmental knowledge about both in their own residental areas and in other parts of Europe. Unfortunately, the results were not that hopeful about the life quality in the future. It is our project priority to create innovative learning environments where to exploit the same technological tools our students are so fond of once caught their attention, it will become easier to help them develop transversal skills such as critical thinking, ICT. International cooperation will focus on the creation of a blended learning environment based on student-centered methodologies: through face to face activities. It will be our first majority to help raising students’ positive attitudes towards science. The project aims at involving students actively into the science lessons while studying alternative energy by using STEM. Because of the ineffectiveness of the unreal activities carried out in the traditional manner, this project will provide them an innovative approach “STEM” which will stimulate their creativity and questioning ability. In particular, the technology will be the main learning space where students will be stimulated to develop creative skills and learn the sustainable energy sources and be aware of resources within the following fields of study: Turkey(geothermal energy), Hungary(biomass energy), Portugal (hydro energy), Slovenia (photovoltaic), Denmark (wind) and Italy (solar). In other words , our STEM project will help students gain awareness about sustainable energy and sensitiveness towards green environment through searching, observing and experimenting the production of renewable energy like solar, wind, hydro, geothermal, biofuel . With the help of this project we will be able to sensitize students towards sustainable development of energy. Furthermore judging by the fact that in some of EU countries face the same issue which is not putting the energy sources to good use, solely the countries having more conscious about alternative energy sources are aware of the fact while the others remain incapable. Our projects fundemental aim will help these people broaden horizons. With the help of our STEM project we will not only inspire the future generations by using STEM (Science, Technology, Engineering, Mathematics) approach but we also aim to educate them from their stem to branch so as to make them more facultative towards environmant and alternative resources.